The City of Lod stands on 8,000 years of history. Throughout the Roman, Crusader and Ottoman periods, Lod thrived as a commercial hub. Today, several landmarks still standing throughout the Old City mark various eras in city's history and indicate its prominence. Sadly, Lod’s Old City core has been destroyed or badly damaged over time, and what remains has fallen into a state of neglect. With the acceleration of existing urban regeneration efforts, historic sites including an olive press, soap factory, and Ottoman period inn are being restored for long term preservation and community use. Through this process, historic buildings will be reinvented as tourist sites paying tribute to Lod’s history, while also providing locals with unique cultural venues. Jindas recognizes the potential of Lod's historical property to play an important role in re-establishing the Old City of Lod as a center for culture and commerce in the region. The 19th Century Khan Khilu was built as an inn for travelers and merchants in the Ottoman Empire. As time passed, Khan Khilu was abandoned and left to deteriorate. 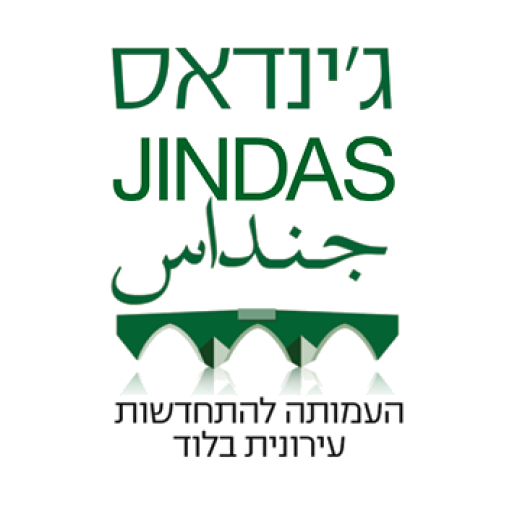 In partnership with the Israeli Institute of Archaeology, and with support of local community members, Jindas is working to transform Khan Khilu from a crumbling relic into a functioning community event space. Today, a regular night market held at the site attracts visitors from around the country. Jindas plans to steer a full scale restoration and reinvention of “The Arches” oil production house, turning it into an arts and culture center. The chief partner in this effort, the Israel Institute of Archaeology, as part of the Sonia and Marco Nadler Institute of Archaeology at Tel Aviv University, has prepared an action plan for “The Arches” consistent with efforts all over Israel to develop, promote research on and connect communities to ancient sites. In keeping with accepted practices of international conservation, the project aims to preserve the original technologies used in its construction while updating “The Arches” for safe and long term modern use. As part of the Jindas Tourism initiative, “The Arches” will create local jobs and promote community-supportive development in the Old City area. Given new reason to come to Lod, see more, and stay longer, visitors will contribute to historical preservation as tourism enterprise becomes a central part of Lod’s economic future.